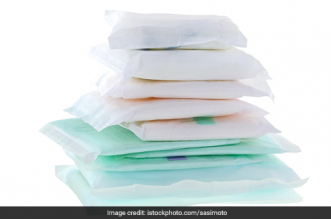 A recent report shows that about 88% of menstruating women in India do not have access to sanitary products during their period, and use alternatives like pieces of rag, ash, sand and husk. As a result, almost 1 in every 4 adolescent girls in the country quits school when she hits puberty. Poor menstrual hygiene is also responsible for almost 70% of reproductive diseases in India. On the other hand, is another grim scenario. Each woman who uses a sanitary pad during her period is, inadvertently, polluting the environment. 90% of the sanitary pads we use are made of non-biodegradable plastic. The average sanitary pad is made of three components – the thin top layer, known as the dri-weave top sheet, is made of polypropylene, a plastic polymer. The padding in the middle is generally wood pulp mixed with super absorbent polymers and the leak-proof layer is made with an impermeable polyethylene. 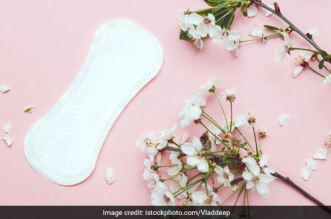 Studies have shown that each sanitary pad could take anything from 500-800 years to decompose, and a single woman can generate up to 125 kg of non-biodegradable waste through her menstruating years. So how does one reconcile such contradictory problems? While it is imperative to provide more women with sanitary solutions, one also needs to keep the environment in mind. 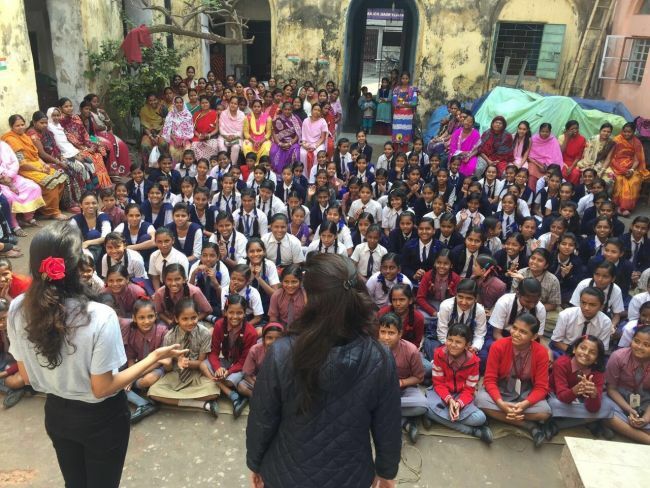 Enter Project Baala, the brainchild of Soumya Dabriwal and Nitisha Sethia, and one of the few initiatives today that aims at spreading awareness about menstruation in rural schools along with providing rural women and girls with environment-friendly sanitary pads. Delhi-based Soumya Dabriwal and Nitisha Sethia from Kolkata were both independent social workers who met through a common friend. 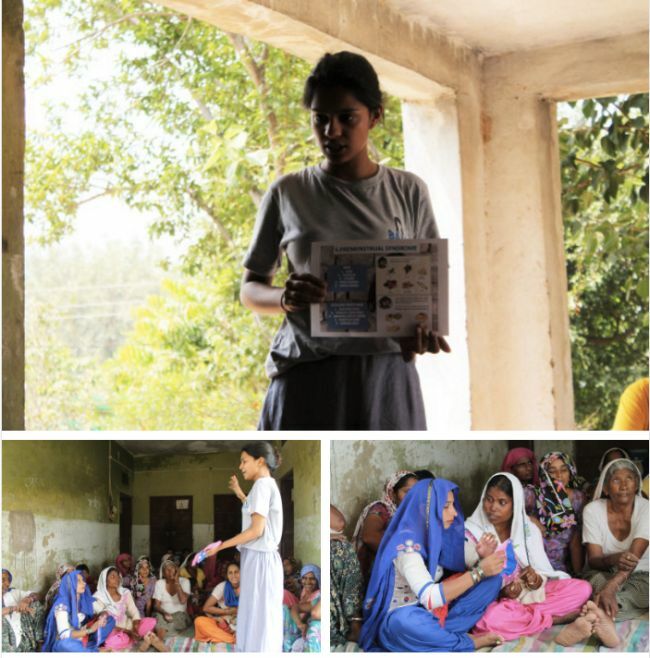 They soon realized that they were both passionate about educating rural women about hygiene and sanitation and decided to start working together and launched Project Baala. We have witnessed these problems first hand whilst volunteering and working in urban and rural slums. It is appalling that something that is taken for granted by most of us affects the education and income of nearly half of India’s female population, said the founders. They added, when we meet these girls and ask them about menstruation, most of the times, we get fascinating yet hard to believe responses. One of the girls told us, Periods are a way for god to tell me that I have done something wrong. However, Project Baala went a step beyond other similar projects. Here the thrust was not just on providing sanitary pads to rural women, but to ensure that the pads were environment-friendly. We wanted to come up with a solution that solves women hygiene and does not cause further environment pollution and that’s when we decided to also distribute re-useable sanitary napkins to the rural girls along with providing them basic education about menstruation, added Soumya Dabriwal. The pads provided by Project Baala are re-usable and can be used for a period of 1.5 to 2 years. 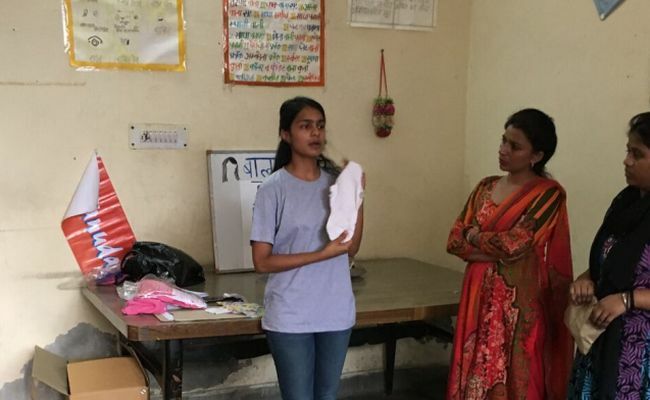 The pad is made of three layers of cloth stitched together, and Soumya and Nitisha distribute a kit of 3 sanitary napkins to every woman who participates in their menstruation awareness workshops. 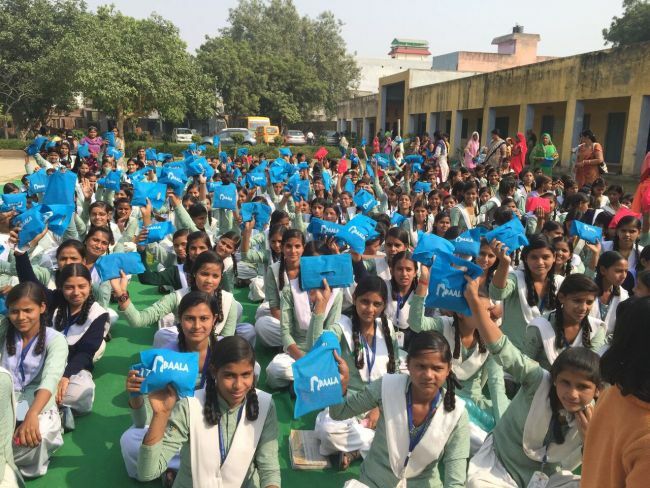 Project Baala has been travelling to villages across India with their menstruation and sanitation workshops. So far they have the states of Uttar Pradesh, Haryana, Delhi, West Bengal and Andhra Pradesh and hope to cover the entire country. The persistent taboo around menstruation is a major factor for the lack of awareness. It was when we spoke to the mothers of the girls, who have been menstruating for so many years now, that we realised that India needs greater menstruation awareness. Our aim is to do just that, explains Soumya Dabriwal. 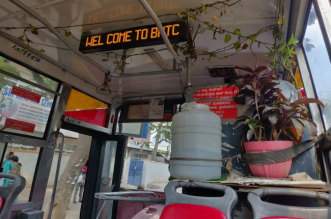 Project Baala is in its initial phase, where both the founders are going to one village at a time and distributing sanitary napkins and educating the masses. They get their feedback by contacting schools and taking stock of attendance. We have seen an increase in the attendance over the period of time in all the states we have covered so far, but will get actual impact after some time only as currently the campaign is in its initial phase, added Nitisha Sethia. A 2016 report on sanitation facilities for women across India reveals that around 63 million adolescent girls live in homes without toilet facilities and 23% of girls drop out of school when they start menstruating. 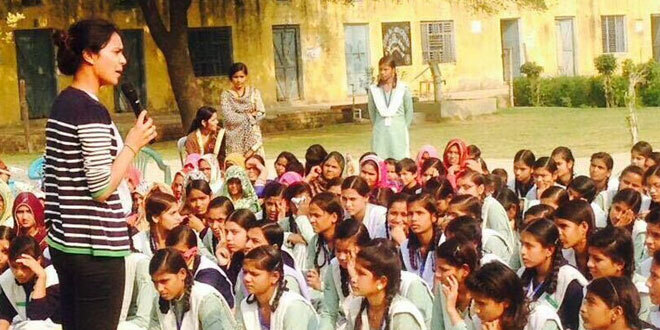 One of the leading factors for leaving school is the girls lack toilets in their schools. The stigma around this natural biological process is so huge in India that one rarely even hears this word spoken out loud. In fact, the problem of women’s hygiene and improper disposal of menstrual waste is a major roadblock in achieving the Swachh Bharat Mission’s goal of a clean India by 2019. Thanks to these swachh warriors, around 4,000 women of 5 states across India have already started seeing a change in their lives. These wonder women signs off by saying, Things are changing slowly, and we want to empower every single area and every single woman out there. All we need is little support from each everyone out there, go out and start making small changes. Dear Team Baala, great job! We are a team of professionals manufacturing sanitary pad vending machines and incinerators based out of Noida. We would like to team up for this effort to take it further. Please contact for a meeting! Warm Regards. I am Debabrata ,at purba bardhaman in west bengal. I live in remote area where girls used clothes so i want to produce and supply Sanitary napking for school girls . But noone agree to help me . Mam i want some help from you by giving information. I am sailaja grandhisila chairman of Aakruthi foundation . We are intrested to work on this awareness program in slum areas in hyderabad with reuseable napkins . please provide the information regarding this. My number is 8885422645. Hi team bala …please share the details…i will be join this mission …. We want to introduce sanitary pads … Please contact me. coz i am also belong to rural areas and i know a women face the problem in menstruation ….so actually i want to help from your side…. Please contact us. We are from meerut and we are social workers. We want to introduce your sanitary pads in meerut we want to invite you to come here. Please contact me. I want to donate these st pads to a jain Mahila ashram at Delhi. The project is most welcome especially in rural schools where girls drop out of schools. I feel this initiative can also be bought as apart of swachh vidyalaya initiative. What’s the difference between clothes and cloth pads ? Only one difference is more easy to wear but how they can clean up after every use ? Is it antibacterial reusable sanitary napkin? If not then after every use they need wash properly and must dry in direct sunlight or need to sterlise the same, in india most of women not ready to put sanitary cloths in open area for getting sunlight so this is totally unhygienic method. I am very keen to take this intiative forward and carry out the drive in Allahabad and surrounding areas.would like to know more. Will like to take this initiative forward and carry it out here in Allahabad too.